If you want to learn Italian, you might not believe you could be talking fearlessly only 3 months from now. Much less if I asked you to do it without teachers, courses, textbooks, or grammar lessons. I didn’t believe I could do it either. And yet, here I am, 3 months after beginning my “summer project”, able to speak Italian to a level that is enough to be life-changing for me. 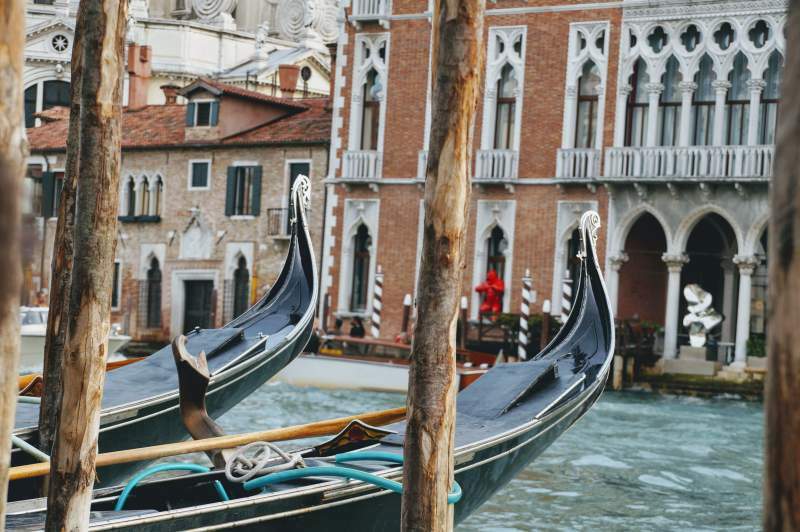 In this post, you’ll learn exactly how I learned Italian so quickly, without any traditional language classes or boring textbooks, and how you can steal my techniques to learn Italian yourself. A word of warning — this method is somewhat intense! On the other hand, it’s a huge amount of fun. My goal with this post is to give you a framework for thinking about language learning in a different way than you’re used to from school. 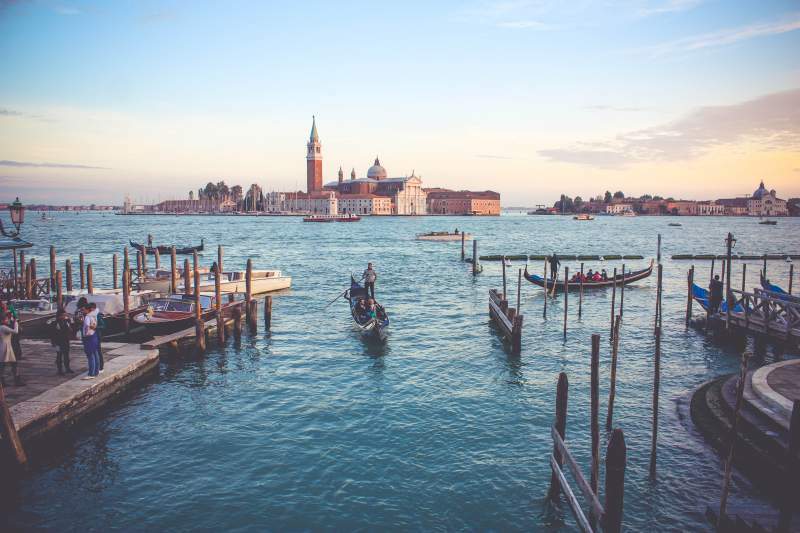 You don’t have to adopt this method hook, line and sinker, but you can take the most useful bits and pieces from what I did to make your own studies more effective – especially if you’ve tried and failed to learn Italian in the past. For reference, you might like to check out the Italian Project Mission Control, where you'll find everything related to this project, from weekly updates to the Italian study resources I've used. One evening, over a plate of Portuguese chicken in a park in Montreal, I was chatting with my friend Steve (founder of LingQ), about language learning. The method Steve was talking about doesn’t have a name. Read and listen to Italian every day. The idea is that with enough immersion in Italian through reading and listening, I would gradually make sense of the language, enabling me to understand what I hear and eventually start speaking. There’s no direct instruction of grammar, vocabulary, pronunciation etc. The idea is that you don’t need to “study” in order to learn. Or have a teacher drip feed the curriculum to you. With enough exposure, your brain can and will adapt to the new language. As a result, you learn. We'll call this an “input-based” method. “But Olly, it can’t possibly be that simple!” you cry. That’s why throughout this whole series I’ve been breaking down everything I do, and documenting important decisions and moments in the process. Steve had thrown down the gauntlet. And I was up for it! I regularly meet Italian people in London where I live. And my main motivation was to be able to speak to Italian people I meet in their own language. Unlike in previous projects, when I’ve learned a new language quickly and then forgotten it soon after, learning Italian was something for the long term. Something capable of really brightening up my life in rainy London. So, excited by the prospect of learning to speak Italian, and intrigued by the idea of doing it with an experimental method using nothing but “input”, I set about the task. TAKEAWAY: In my experience of learning more than 8 languages, the language you’re most likely to succeed with is the language that you can easily integrate into your life, and use daily in your local community. I told you earlier how the method is based on listening and reading. Where possible, this means listening and reading at the same time. The reason for listening and reading at the same time is that you’re able to notice far more details about the language and retain more of what you learn than you could through one medium alone. So, now you know you have to read and listen at the same time. In order to learn and make progress, you must use Italian content that is at your current level. And this is where most people mess up. After 1 hour with your head in a dictionary, you’re still stuck on the first page. It ain’t at your level! In short, when dealing with material at your level, it’s a totally different experience: Pleasurable, motivating and effective. The term “at your level” is more properly known as “Comprehensible Input” (C.I.) or “i+1”, and I discuss it at length in my interview with the linguist who coined the term, Dr. Steven Krashen. Anyway, you’re doubtless wondering how you can read and listen to Italian “at your level” when you’re a beginner! Don’t worry, I’ve documented every single resource I used, right from the start, on my Italian Project Resources page, so you can literally model what I’ve done in your own Italian studies. TAKEAWAY: The basis of this method to learn Italian is to spend time every day listening and reading (together) to material in Italian at your level. I'm now going to show you my exact routine, and why I think you can do this however busy you are. I set my alarm early and spend 45-60 minutes reading and listening to Italian. This is my core study time , and everyone needs it. Sure, you can study on the train (and I do), but I believe everyone needs some quiet, undisturbed, sit-down time to truly lose themselves in the language without getting distracted by what the guy next to you on the train is doing with his phone. When the work day has started, I’m too distracted to sit down and focus on languages… even if I had the spare time. The key, then, is to identify all the “dead time” you have in your day, and fill it up with Italian. For practical reasons, this usually this means listening, but you can also read if you take the train or bus to work. Absolutely everyone has far more dead time than they think, and often it’s just a question of recognising where it's hiding. Even if you only have 20% of the dead time I do, that’s still well over an hour. And when push comes to shove, you’re going to have to free up at least some of that time if you really want to make progress in your Italian. These stats aren't 100% reliable, but you can see the 10.4 hours of listening and 15000 of reading, which average out at 2-3 hours a day. (I take weekends off). PRO TIP 1: Dead time is no use if you don’t have the material you need with you. Your iPad is your friend here. Fill it up with the podcasts, courses, books or apps that you’re using and make sure you have wifi-free access to it. PRO TIP 2: Using my dead time well became a hell of a lot easier when I invested in a pair of Bose noise cancellation headphones. Noisy trains, annoying conversations and loud music in cafes ceased to be a problem literally overnight. Cheap they are not. But as someone who takes languages seriously, it’s the best $325 I’ve spent in years. So there I was, “studying” away for a month. And after one month, it was time to start speaking. I had banned myself from speaking for the first month, focusing only on input (listening and reading). So, when it finally came time to speak Italian with a real person (rather than to my reflection in the shower), it was a huge relief! 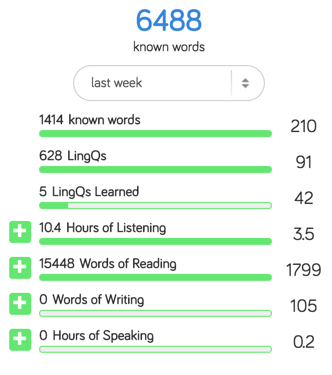 In week 5, I found a tutor on iTalki, and spoke for an hour every day. There were plenty of moments when communication broke down, and I needed help to get my points across. However, for a first try, I was pretty pleased! And remember, every word I spoke in these conversations had come from learning passively – from the listening and reading I’d done. I hadn’t studied any grammar, had any corrections from a teacher, or taken any lessons at all for that matter. It was possible to learn to speak a new language without actually speaking or studying it! Through listening and reading alone, I'd built enough knowledge to be able to hold a successful conversation. While day 1 was a bit ropey, by day 5 I had gained considerably in confidence. I was delighted, and I broke down my thoughts on my first week of speaking in this video. Amazed at my results from an entire month of “input”, I was ready to embrace speaking Italian as much as possible. It was pretty easy to carry on with the “input” (the reading & listening) every day, because I'd found a great routine by that point. The major change was to start speaking. To learn to speak a language well, you have to speak it a lot! So, in addition to my daily input, I arranged daily speaking sessions in Italian. If you're not used to it, speaking every day might seem a bit crazy! But in reality, it's really easy… providing you're able to find the time. I found wonderful tutors on iTalki, and also locally in London (I like face-to-face interaction too), and scheduled lessons every day, from 30 minutes to 2 hours depending on my free time. PRO TIP: The key to making regular speaking sessions work is to schedule them in advance, so you're committed! I always book at least a week's worth of lessons all at the same time. Now, throughout months 2-3, I had a lot of stuff going on. A couple of foreign trips, sickness, moving house. And, honestly, it was really hard to keep up this level of intensity. In fact, there were entire weeks when I didn't speak Italian – when I was travelling, for example. From time to time, it took a toll on my motivation, as I explained here. However, I don't think my lack of consistency was a big problem in the end. Well, because whenever I couldn't speak Italian, I fell back on my reading and listening. I just spent more time with Italian content than I might have otherwise done. I remember one week, when I was in Málaga, I would run down to a nearby open-air gym on the beach every morning, and listen to Da Costa A Costa for an hour. Move Heaven and Earth to find content that you love, and you'll always be motivated to keep learning! When you find books, podcasts, blogs, etc, that you love, you begin to want to read/listen to them for their own sake! It doesn't even feel like studying. And I think it's the biggest lesson of all that I'll take with me into future language projects. I almost forgot about it!! In month 1, I had to be strict with myself to study every day. It wasn't that I didn't want to study, rather that I wasn't used to the routine. Every week, I had to write a blog post and make a video. Later, I had to schedule my speaking sessions. In other words, the Italian project was front and centre! But towards the end, things changed. I stopped tracking my study time, because I realised I was studying without even realising it! In fact, last night, at my book launch event in London, I met an Italian guy who had come to watch, and it was easier for us both to talk in Italian than English. And it felt like the most natural thing in the world. It was replaced by real life. And I realised, not long ago, that I had successfully achieved my goal of learning Italian, and opening a brand new door for myself to life here in London. It's an amazing feeling, and I couldn't be happier. 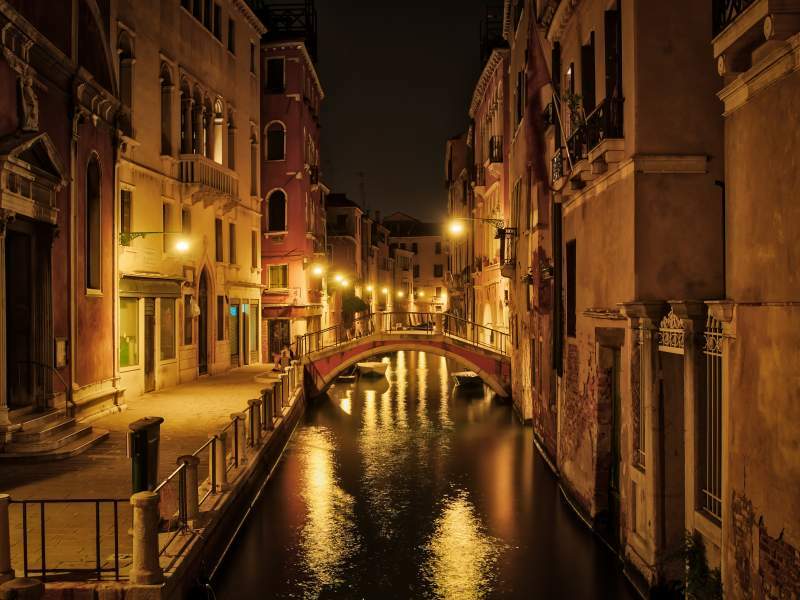 In fact, I felt so happy with the result that I didn't think it was really necessary to travel to Venice to “prove it”. The last 3 months have been a rollercoaster. A lot of hard work, and some ups and downs that are entirely predictable in any language project! I hope you've enjoyed following along, and that you've found some value in everything I've managed to document here. Do I spend more time with “study” or “input”? Do I have content I *love*? If not, how could I find it? I hope you enjoyed the Grand Finale video! Many thanks to my friend Jan from Language Boost for helping me with the video. Please leave your questions and comments below, and I'll be sure to answer each and every one! Gracias Ara, y ¡me encanta esa expresión!